The new BertO textile collection: including the Etro label. The BertO fabric collection of textiles includes famous name brands from historically well-known manufacturers from Lecco and Como. The collection includes over 3,500 high quality fabrics from very prestigious jacquards to stonewashed linens, hand painted silks, durable cottons and coordinated designer fabrics including prestigious brand names like: C & C, Designers Guild, Romo, Sanderson, Nobilis, Luciano Marcato, Zimmer + Rohde and many others. Our extensive selection is refurbished every year to ensure the latest styles giving our customers the opportunity to create something contemporary, unique and lasting. One of our favorites brands is Etro, an Italian company founded by Gimmo Etro in 1968, it is both historically important and well-known in the soft home furnishings industry. The Etro Brand is often characterized for its production of fabrics, one in particular is the elegant and innovative changes made to the Paisley, a pattern widespread in India, which has become the distinctive icon of the brand. 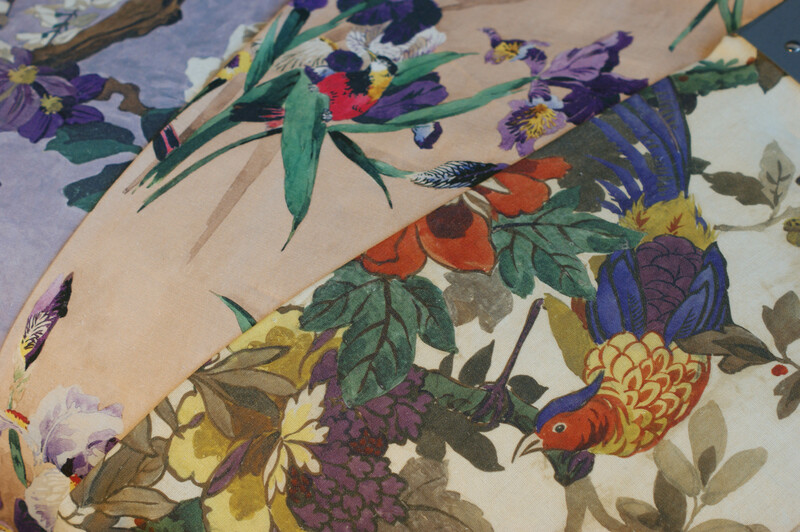 Etro is still a family company manufacturing natural fiber high quality fabrics such as silk, cotton and linen of great value. 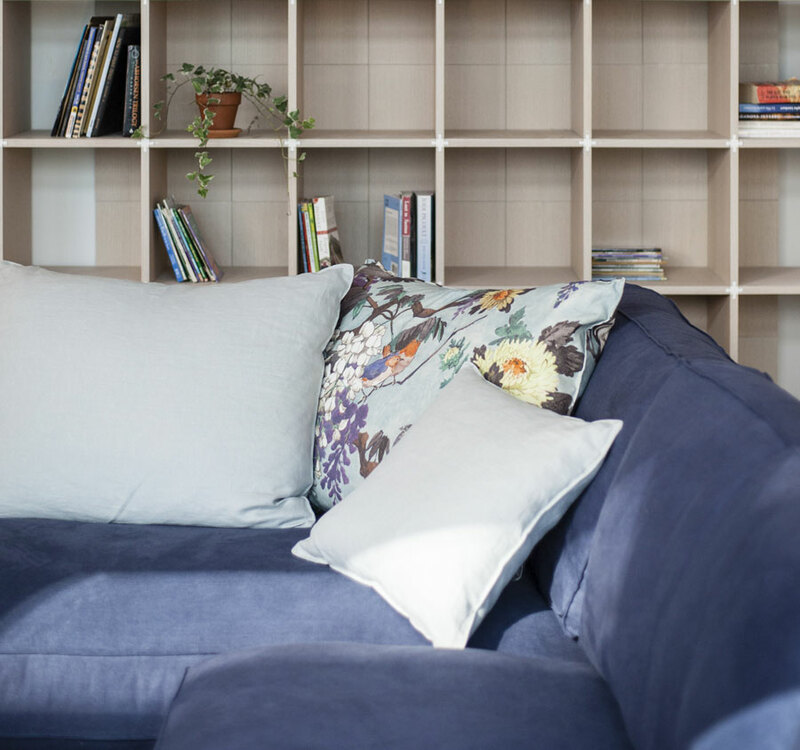 The brand’s success comes from its dedication to artisan production, constant research and innovative printing techniques, clearly providing our customers with the latest selections in soft furnishing; they are without doubt original and elegant. In fact, Etro, never runs out of ways to provide a wide range of colors and matching graphics. In addition, they continue to experiment with its iconic pattern reviving shades, reworking it, combining it with flowers and stripes, enlarging or stylizing it to its original substance, collection after collection. 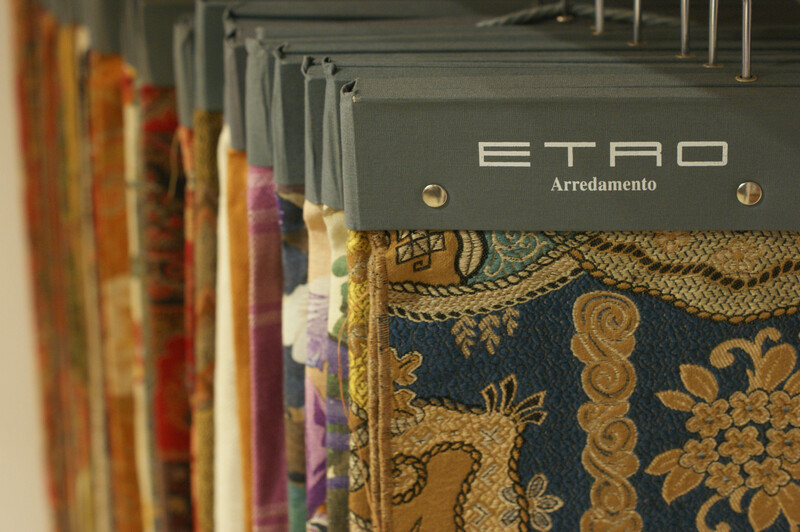 Etro represents an elegant alternative for those who love classic designs with a modern flair. Changing directions from classic to practical our natural fiber fabric collection is filled with colorful solid and floral print materials hence becoming the textile of choice by many clients. .
Design-Apart our partner in New York City chose the fabric known as Robin Verde Mare made of a printed linen and cotton blend, it was used for their version of our sectional sofa Time Break. You can see the fantastic visual effects are very original. In the furniture industry, traditional techniques preserve the love for art and beauty. The Paisley, an icon in itself, will continue to be a precious creation rich in history and full of meaning. Classic sofas, when perfectly matched with textures, fabrics and motifs become icons of timeless elegance, thus increasing their decorative vitality. Here Cambridge clasic sofa represents our classic sofa, it has been combined with a combination of goose down pillows in two sizes 60×60 and 45×45 covered in a jacquard Etro of 100%. linen, the ensemble is undeniably unique. Here you can read a conversation with Serge Maury, cashmere designer of the fashion house at Etro. Discover the entire Berto textile collection in our showrooms in Meda, Rome and New York. Send an email to servizio.clienti@bertosalotti.it or call our interior designers at +39 0362-1851425.